Apple doesn't often allow people to visit its data centers, which are located across the country, but The Arizona Republic was recently given a tour of Apple's Mesa Arizona data center, formerly the site of GT Advanced. 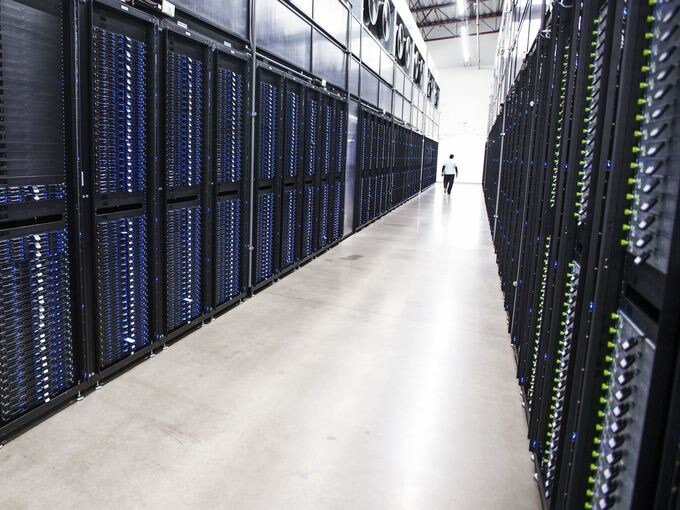 The Mesa Arizona facility spans 1.3 million square feet, with long, sparse hallways equipped with servers. Apple calls the Mesa site its "global data command" center, which employs a "handful" of employees working in 10-hour shifts to oversee Apple's operations data. 150 employees total are employed at the data center. The facility is not recognizable as Apple's from the outside, surrounded by thick, dark walls draped in vines. A guard patrols the entrance to the parking lot. While The Arizona Republic was provided with a tour and was allowed to take photos inside the data center, Apple "would not share many specifics about what happens inside the facility" due to security concerns. The Mesa data center, and others like it, house data from Apple apps and services that include iMessage, Siri, and iCloud. Apple announced plans in 2014 to repurpose the Mesa, Arizona plant where GT Advanced worked to develop sapphire glass for Apple products before filing for bankruptcy. Hundreds of GT Advanced employees were laid off when the company failed, with Apple at the time pledging to bring more jobs to the city. Not long after, Apple confirmed that it would transform the Mesa, Arizona plant into a "command center" for Apple's global data network. It has been operational since 2016, and Apple has been renovating and adding on since then. According to The Arizona Republic, the most recent addition, several new halls of servers, was completed in April. The Arizona Republic's photos of the data center are worth checking out for anyone interested in Apple's data operations. Reminds me of watching Silicon Valley. Once you’ve seen one datacentre you’ve seen them all right? Oh look, there’s my iCloud backup! Sixth on the left, bottom shelf. 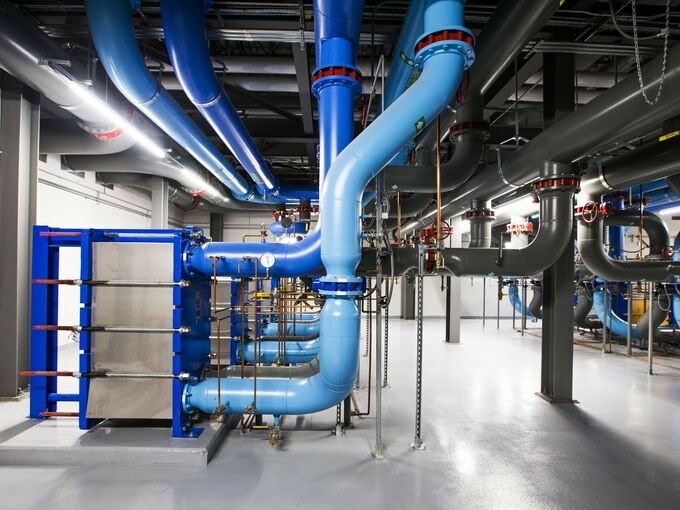 A gigantic data center requiring massive amounts of cooling built in one of the hottest places in the USA. But with great access to the sun. Solar power will offset the use. I know there are other cooking materials than electricity but you don't get much better solar power generation than in Mesa/Phoenix. I used to be just like you! But once I got used to forking our £2.99 per month for all the cloud me and my family needs, I decided it was good value. I hear you. £2.49 here for enough iCloud storage to back up 2 iPhones, 1 iPad Pro, 1 iPod Touch and two Macs, including all three photo libraries going back well over a decade, also being made available and synced across all of our devices. For the facility, the peace of mind and the convenience, £2.49 is peanuts - it wouldn’t even buy a cup of coffee a month if I wasn’t paying for iCloud storage. There's a larger story to this. This plant was built for GT Advanced Technology to produce high-quality sapphire for Apple. When GT ended up not being able to deliver on the promise and collapsed, Apple decided to use the building they paid for for something.